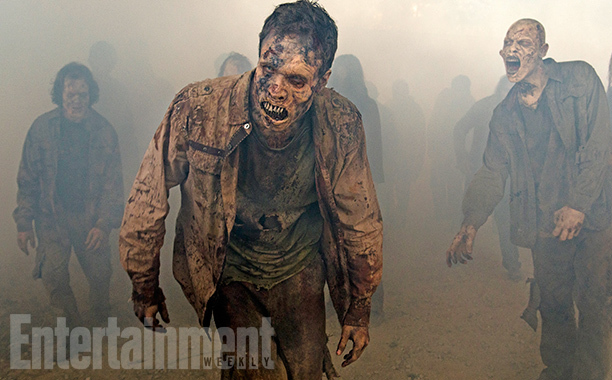 Six new stills from the upcoming Walking Dead season have been brought to light by Entertainment Weekly. Let’s examine them and see what we can find…. 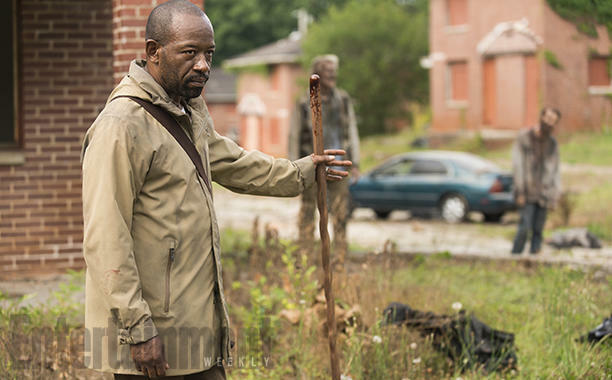 This is Morgan, who looks to be standing somewhere near the location where we last saw him in Season 6. We’ll see how breaking his “no kill” policy has affected him. Here’s Carol, lounging on her luxurious new bed. She’s still alive thanks to Morgan, but does she want to be? 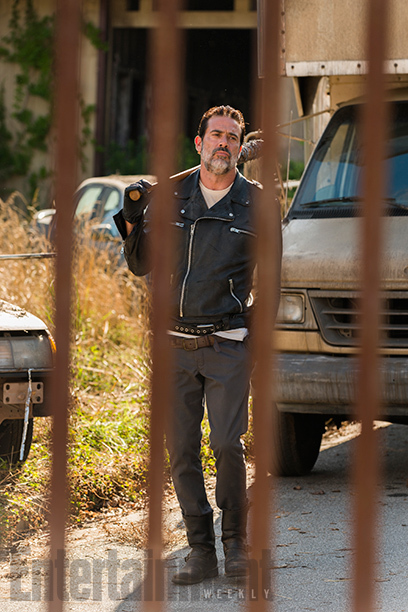 We’ve seen plenty of Negan pictures by now, but none in THIS location. Do you recognize it? The bars give you a hint. That’s right, he’s inside Alexandria. Which doesn’t bode well for anybody living there. The days of relative peace (punctuated by the occasional mass zombie invasion) are over. Everybody fears Negan’s bat, but could it stand up against a tiger? 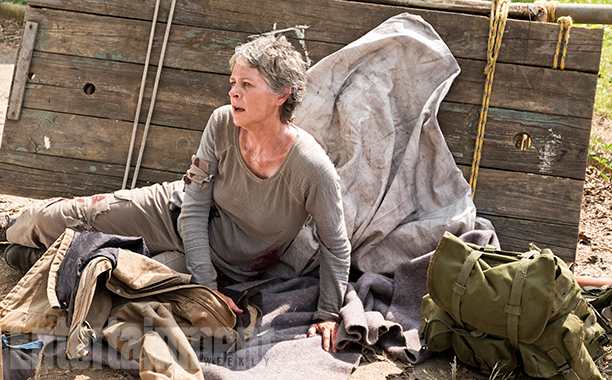 We probably won’t find out for a long time, as Morgan and Carol’s storyline is currently separate from everybody else’s. 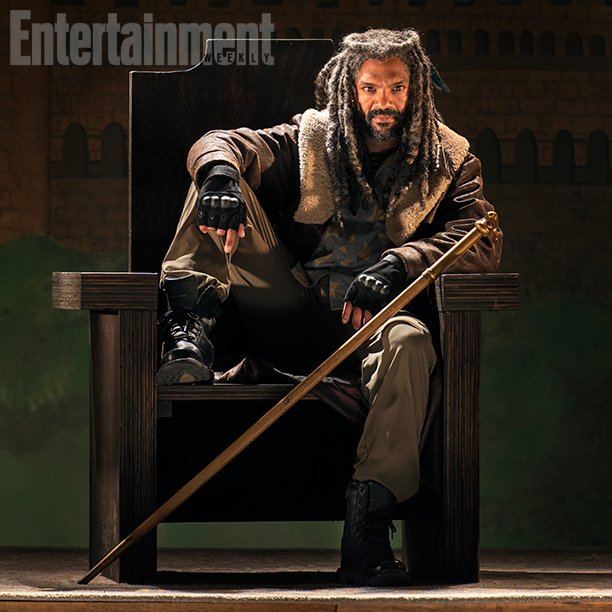 Ezekiel is the eccentric head of The Kingdom, the third gated community to be revealed in the Walking Dead TV universe. And you all know these guys! 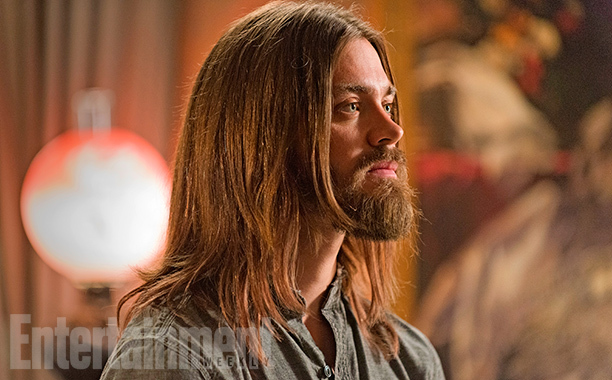 It’s been confirmed we’ll see a lot more of The Hilltop in the upcoming season, now that Jesus and the Hilltop leader have been bumped up to regulars. They gave Team Rick food in exchange for getting rid of Negan, but they’re now realizing paying up front was a bad idea. The Walking Dead returns October 23, 2016.